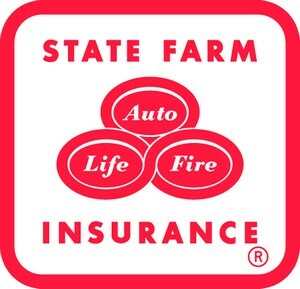 State Farm has gotten approval from the state insurance regulators to raise the policy premiums 50 percent in Florida. The scary part is that State Farm was asking for a 79 percent increase and had to settle for the 50 percent bump. The rates will effect new and current customers. The rates, more than a $1,000 increase on a $2,000 premium, are effective Aug. 15 for new customers and Nov. 15 on renewals. State Farm Florida first sought an average 79 percent increase when it asked for higher rates in May, but the company withdrew that request earlier this month. State Farm officials have said they sought the rate increase to enable the company to continue to underwrite coverage in the state. Other companies also have sought rate increases. Allstate Floridian has pursued a different strategy, dropping Florida customers to reduce its risk from hurricane damage. Allstate has plans to drop 350,000 home policies. In March, the company had 529,000 Florida homeowners’ policies. America West/US Air are looking for money anywhere they can find it. They have gone so far as to put advertising on the air sick bags on their flights. While pricing has bot been determined, the company is thought to be targeting companies like Dramamine to grace the covers of the thier air sick bags. Passengers should see the new, commercialized sickness bags in September, he said. The ads are just the latest initiative the company has used to squeeze out a bigger profit. America West, which merged with US Airways last year, had the first advertisements in the industry on tray tables, the first airline gift cards and the first in-flight meals for sale. The new bags drew a few chuckles among US Airways passengers at the company’s hub at Phoenix Sky Harbor International Airport. “I would honestly pay no attention to an ad if I got sick,” said Nathan Vierra, 19, a student. “But hey, if skateboarders can sell ad space on their T-shirts, I guess why can’t an airline sell ads on barf bags?” via MSNBC.com . The newly christened Crown Princess had a dangerous list to the side that caused dozens to be injured and 33 passengers to be sent to the hospital. The ship that entered into service in June of this year. The 113,000 ton vessel had several floors flooded with seawater. Do you wonder if Princess and the cruise industry just dodged a huge bullet and this ship is not seaworthy? Or was this just a fluke occurance that the steering problem that caused the roll was human error? 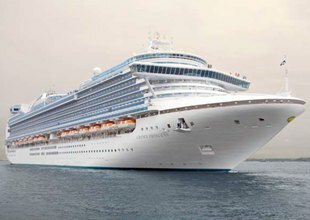 One passenger said seawater flooded several upper decks of the Crown Princess, forcing water from a swimming pool “like a mini-tsunami,” and breaking windows and furniture. The vessel, with about 3,100 passengers and 1,200 crew, had just departed Port Canaveral on Florida’s east coast en route to New York when it listed badly to its left side, said Coast Guard spokesman Petty Officer James Judge. The ship then righted itself before returning to port, where the Coast Guard said all passengers and crew had been accounted for. Besides an adult and a child who were critically hurt, 12 people were seriously hurt and about 70 had lesser injuries, said Cape Canaveral Fire Rescue Capt. Jim Watson. Thirty-three people were taken to hospitals, he said. Most had bruises and minor back and neck injures. Dozens injured after cruise ship tilts – Yahoo! News . It looks like all air traffic in and out of southern California is stopped as a power outage at the main radar facility occurred. Tell me how this is possible. A power outage at a radar facility Tuesday cut communications and brought incoming and outgoing flights in Southern California to a standstill, a Federal Aviation Administration spokesman said. “We lost everything. We lost all power to phone lines, computers, everything,” said Allen Kenitzer, a regional spokesman for the FAA. The outage at the Los Angeles Air Route Traffic Control Center was reported around 6 p.m., Kenitzer said, and the cause was not known. A man on a flight from LaGuardia to Tampa St Pete was subdued by passengers in first class as he attempted to gain access to the cockpit of a Delta Air Lines flight. He has been taken into custody, but this is a great example of how a 9/11 would have a hard time occurring. No one will stand still for someone creating an inflight incident. A man who tried to force his way into the cockpit of a Tampa-bound Delta Air Lines jet was undergoing mental evaluation on Friday, Tampa International Airport officials said. Passengers said the man ran up the aisle toward the cockpit door just before the flight from New York’s LaGuardia Airport was about to land in Tampa on Thursday night. Passengers in the first-class section of the plane tackled and subdued the man, who was turned over to police after the McDonnell Douglas MD-88 landed. Airport spokesman Lewis Miller told a local television station that the man was unarmed and that his intentions were unclear. Cockpit doors on all U.S. airliners have been locked since the September 11 hijackings. US News Article | Reuters.com .